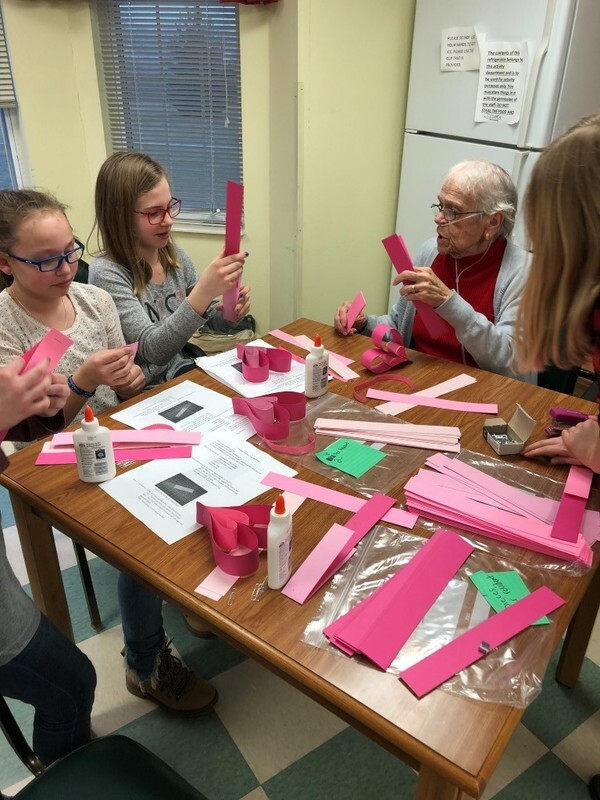 The GRS Builders Club has implemented a community outreach program for local nursing homes and assisted living facilities. 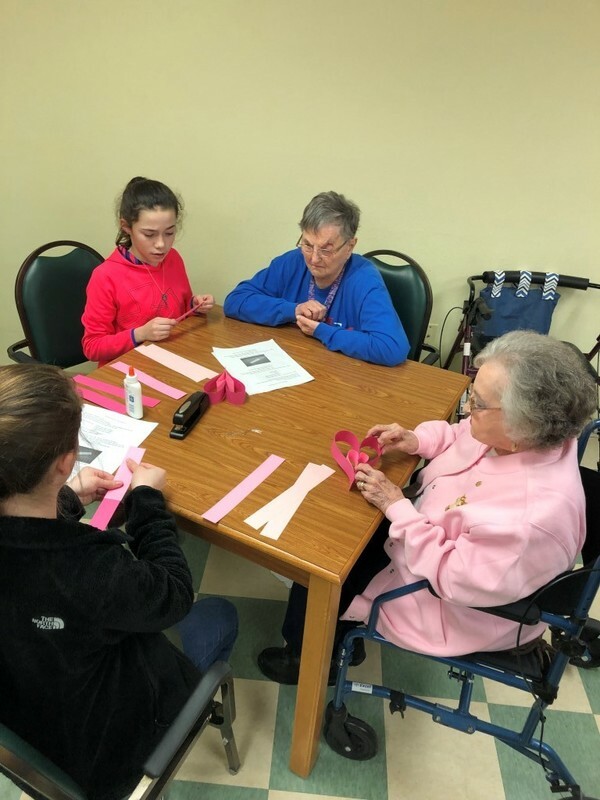 So far, the outreach team has gone to Heritage Woods twice and will be going to the Iroquois County Resident Home in March. 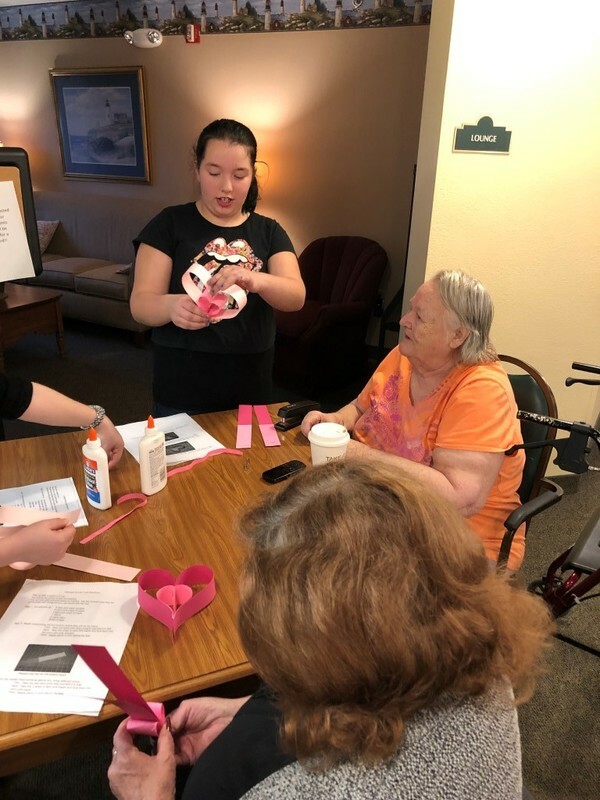 During the visits, the students have performed a Christmas skit, sung Christmas Carols, and made Valentine decorations with the residents. 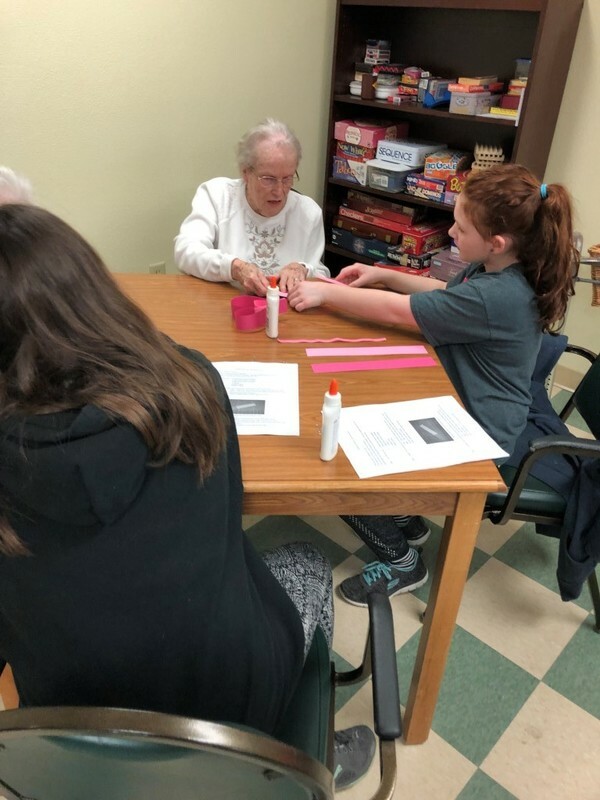 The students and the residents enjoy this program immensely! We look forward to the continuation of this program, if interested, see Mrs. Luecke or Mrs. Dickte!